David Shrier is a globally recognized authority on financial innovation, and is the CEO of Distilled Analytics, a predictive analytics company using AI to transform financial services. He also leads the University of Oxford's online programmes Oxford Fintech and Oxford Blockchain Strategy, as well as MIT’s Future Commerce (the first graduate fintech class in North America), all of which he created. He has published multiple books on fintech, blockchain and cybersecurity. David is Vice Chairman of Endor.coin, a price prediction solution enabled through blockchain; and Chairman of Riff Learning, an AI-driven collaboration technology platform provider. David is an Associate Fellow with the Said Business School, University of Oxford; Lecturer at the MIT Media Lab; and Fellow with the Payne Institute at the Colorado School of Mines. He also counsels the Government of Dubai on blockchain and digital identity; and Millennium Advisors, a middle market credit liquidity provider, on technology trends. He previously advised the European Commission on commercializing innovation with a focus on digital technology. His pro bono work includes serving on the advisory board of WorldQuant University, a program offering a totally-free, accredited, online Master’s degree in financial engineering; member of the FinTech Industry Committee for FINRA, the U.S. securities industry's self-regulatory body; and member of the Fintech Trade & Investment Steering Board for the UK Government’s Department of International Trade. 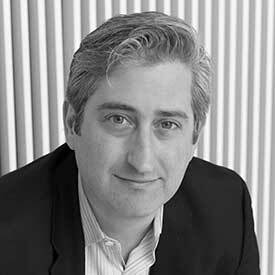 David specializes in helping established organizations to build new revenue, having developed $8.5 billion of growth opportunities with C-suite executives for Dun & Bradstreet, Wolters Kluwer, Ernst & Young, GE, The Walt Disney Company, AOL Verizon, and Starwood, as well as private equity and VC funds. He has led a number of private equity and venture capital-backed companies as CEO, CFO or COO.